First formed in 2003, Bloodshot Dawn have evolved into a technically ferocious extreme metal outfit. Hailed by Terrorizer as a band that delivers “blistering live shows”, Bloodshot Dawn has become a household name in the UK underground. Late 2009 Bloodshot Dawn began preparing material for their follow up to ‘Coalition Of Terror’. This came in the form of the ‘Slaves To The Lie’ EP, released in February 2011. The band supported the release with tour dates in the UK, including gigs with Vader, Krisiun, and Cerebral Bore. Later that same year, Bloodshot Dawn entered 16th Cellar Studios in Rome (Fleshgod Apocalypse, Hour Of Penance), to record their debut full-length release. The self-titled album saw Bloodshot Dawn’s writing style mature noticeably, becoming more intense and technical, while increasingly melodic and accessible. This unique writing sensibility, coupled with fierce production from Stefano Morabito, resulted in an album that saw Bloodshot Dawn claimed by many as one of the UK’s fiercest metal bands. The album was completed in December 2011 and was self-released on 26th January 2012. The critically acclaimed album has received extremely positive feedback from the fans, and the metal press. Terrorizer cited the album as “a polished exercise in technical fury & unremitting brutality”, going on to say “what Bloodshot Dawn offer is something slick and streamlined without losing sight of the main goal: to smash your teeth in.” The band went on to support Fleshgod Apocalypse on their ‘Agony UK/Eire Tour’. Later in 2012 Bloodshot Dawn played a packed out performance at Bloodstock Open Air festival, the UK’s largest independent metal festival, as well as playing frequent shows around the UK including a full tour support to death metal legends, Decapitated. Following the success of their debut album, Bloodshot Dawn entered Envy Studios in September 2012 to record a brand new single entitled ’Theoktony’, between tour commitments. The single was released on October 26th 2012 with all proceeds in support of the Sophie Lancaster Foundation (www.sophielancasterfoundation.com). Not resting for one moment Bloodshot Dawn continued a trail blaze throughout 2013. A European tour alongside Polish death metal masterminds Vader In January/February, a slot at Hammerfest in March, a UK tour supporting Scar Symmetry in March/April before moving on to a short UK headline tour immediately following the Scar Symmetry tour. Summer 2013 arrived and the band graced more stages throughout the UK and further afield, headlining Headbangers Balls in Cardiff, Wales, appearing at UK Techfest, supporting Wintersun on their UK tour supporting new album ‘Time’, a slot at Metal Days in Slovenia, UK Techfest & MAV Festival, Italy. In September Bloodshot Dawn returned to the UK for a headline tour completing the touring cycle for the debut self-titled album leaving a frenzy of fans in their wake. 2014 arrived and a new chapter had begun for the band. In April the band launched a Kickstarter campaign to fund a brand new album and in just 4 days they had achieved their target, testament to the bands loyal following. Over the next few months the band hunkered behind closed doors preparing new material for their sophomore recording all whilst expanding their sights and looking into new territories to campaign throughout 2014. Over the summer the band visited multiple studios such as Studio Disaster in Sweden, Darkside Studio and Envy Studio in England where the band recorded the new album before sending the tracks to Danish sound wizard Jacob Hansen (Aborted, Amaranthe, Volbeat, Destruction, Epica, Pestilence) for mixing and mastering. In August the band opened the Main Stage at Bloodstock 2014 where they announced they had completed the new album, it was to be entitled ‘Demons’ and it would be released on 26th October of that year. 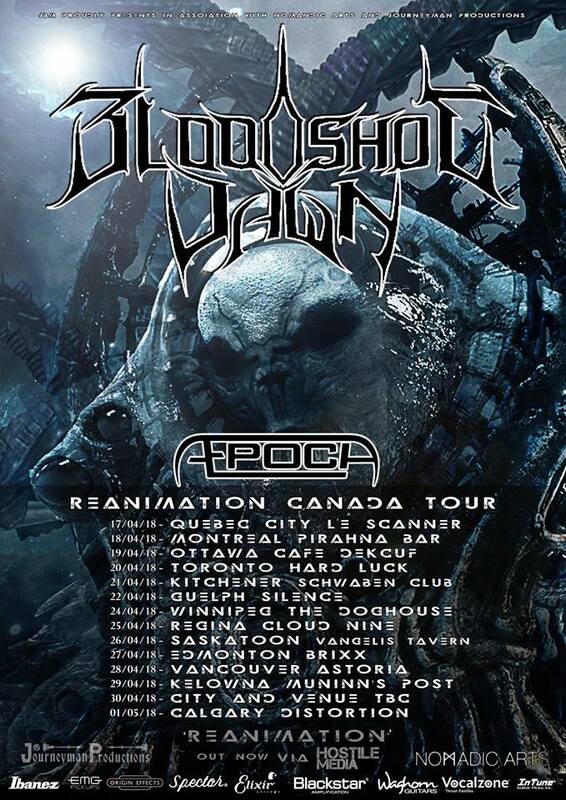 On that same date Bloodshot Dawn embarked on a headline UK/Ireland tour in support of the release and over the course of the next couple of years campaigned the new album further afield including a return once again to what had quickly become the bands second home, Japan. 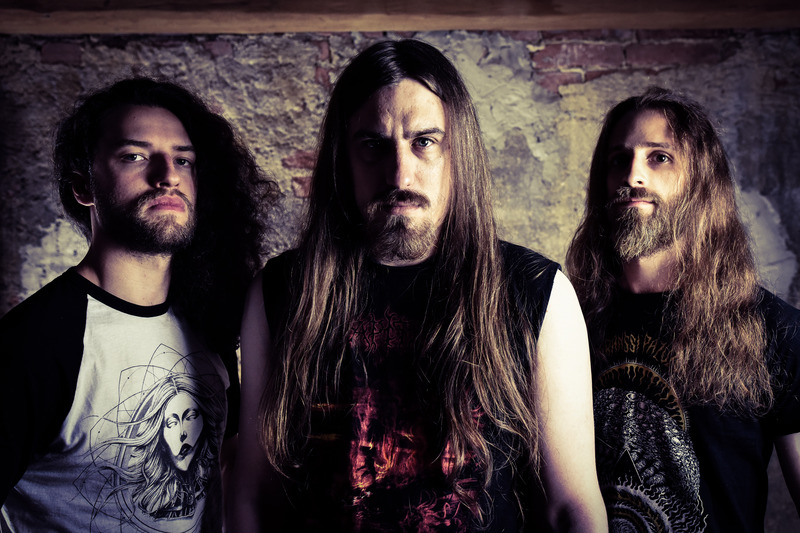 After a short hiatus, and reshuffle in the ranks, the band welcomed Canadian shredder Morgan Reid to fill the void left by Ben Ellis who went on to join Scar Symmetry, sticksman James Stewart of Vader fame on drums following the departure of Janne Jaloma and new bass player Giacomo Gastaldi. 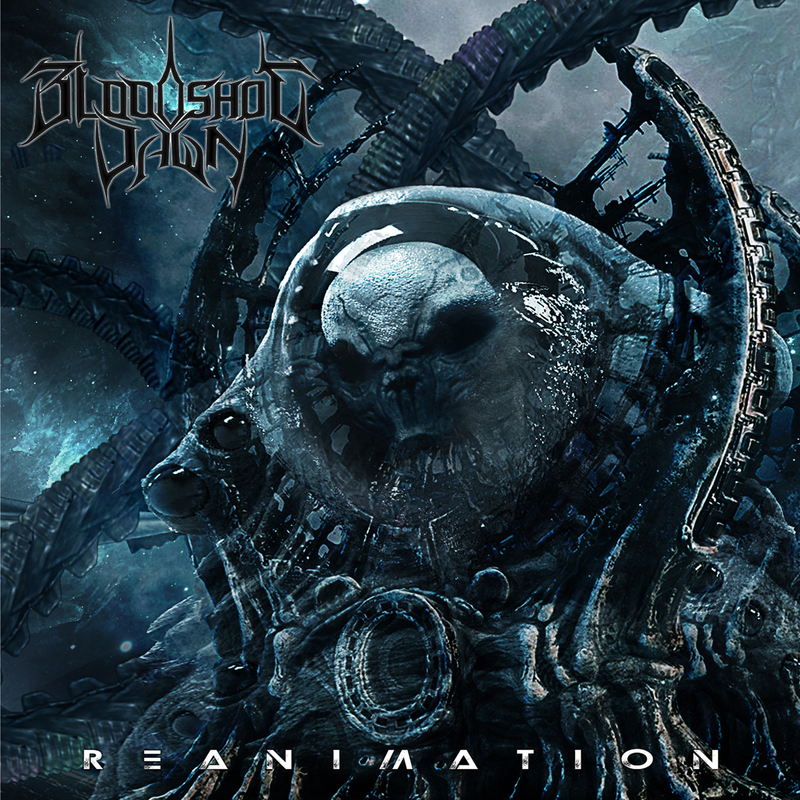 With a new lineup in place and fresh ideas aplenty, July 2017 marked the beginning of a new era for Bloodshot Dawn as the band entered the studio once again, this time to begin work on their third album ‘Reanimation’ which was released January 12th 2018 via Hostile Media. Bloodshot Dawn have well and truly established themselves as a heavyweight act amongst their peers and the worldwide metal scene. Technical, ferocious with an unrelenting work ethic, Bloodshot Dawn beckons oblivion!